Painfully Skinny Jeans Land A Woman In The Hospital : Shots - Health News It turns out jeans really can be too tight. 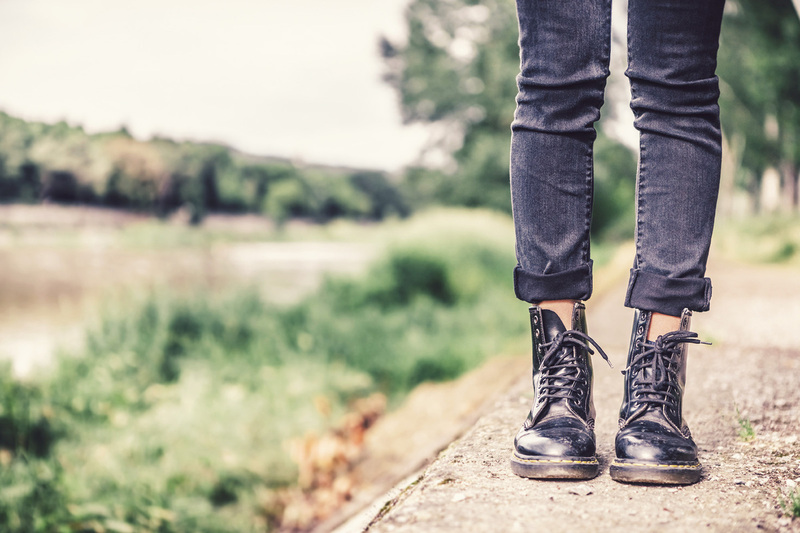 An Australian woman suffered nerve and muscle damage after wearing superskinny jeans. She couldn't walk and was hospitalized, but has since recovered. Skinny jeans: fashion statement or health threat? If you've wondered whether there's a downside to wearing superskinny jeans, this story's for you. The move involved "many hours of squatting while emptying cupboards," according to a report published Monday in the journal Neurology, Neurosurgery & Psychiatry. As the day went on, those jeans were making her increasingly uncomfortable. But it wasn't until that evening that the situation went south. As she walked home, the woman found herself struggling to lift her increasingly numb feet. At the hospital, the woman's legs were so swollen that staff had to cut off her jeans. Tests of the tibial nerves, which provide movement and sensation to the calf and foot, and the peroneal nerves, which run from the outside of the knee down to the foot and ankle, showed they weren't sending signals properly. "The wearing of 'skinny' jeans had likely potentiated the tibial neuropathies by causing a compartment syndrome as the lower leg swelled," the report concluded. Not good. The swelling of compartment syndrome can lead to permanent muscle and nerve damage, or amputation. In this case, the victim fared better. After four days in the hospital on intravenous fluids, she regained her ability to walk and went home. No word on whether she's ever donned skinny jeans again. This isn't the first time we've reported on the perils of excessively tight trousers. In 2011, a doctor in Tarrytown, N.Y., told us about a 15-year-old soccer player who had numbness and tingling in her leg caused by wearing compression shorts. In some cases, the only damage tight clothes will do is to your wallet. Last fall, the Federal Trade Commission ordered to two companies to stop selling caffeine-infused shapewear, saying that the amped-up skivvies would not, as one firm claimed, "reduce the size of your hips by up to 2.1 inches and your thighs by up to one inch, and would eliminate or reduce cellulite and that scientific tests proved those results." The FTC disputed that claim, and ordered the companies to fork over $1.5 million to customers who had been lured in by the promise of effortless shrinkage.